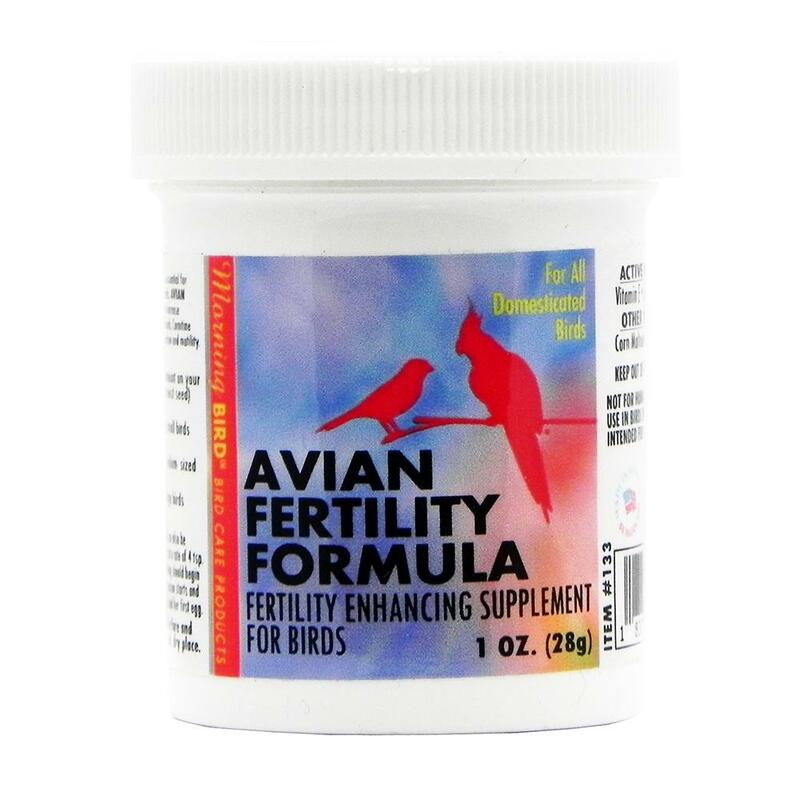 Morning Bird's Avian Fertility Supplement is a combination of Vitamin E, Carnitine, and Arginine - all known to increase fertility and breeding in birds. Avian Fertility Supplement can be used in birds' water or on moist food. Made in the USA! - 1/8 teaspoon (8.5g) for small birds (Finch, Budgie). - 1/4 teaspoon (1g) for medium-sized birds (Grey, Amazon). - 1/2 teaspoon (2g) for large birds (Macaw, Cockatoo). Active: Vitamin E, Carnitine, and Arginiine.